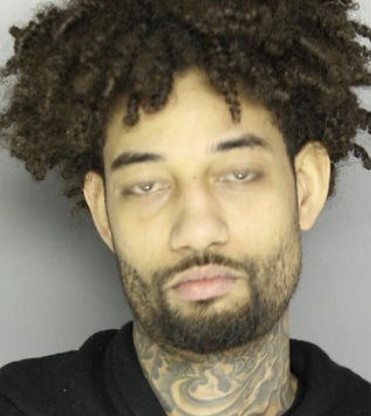 #PnBRock is currently in custody on drug and gun charges. He was arrested Sunday at a suburban townhome development. Bensalem Township police arrested him and a woman, identified as #StephanieSibounheuang, while executing a search warrant, officials told @nbcphiladelphia. The home at the Waterside development had been the subject of neighborhood complaints about loud parties and the smell of marijuana since November, according to authorities. Police said they found four pounds of marijuana, scales, packaging material, more than $33,000 in cash, as well as a .40 caliber Glock handgun, which had been reported stolen, during the course of the search. Bail has been set at $500,000 for the both of them. PnB faces several charges including possession with the intent to deliver, and Sibounheuang is also charged with possession and related offenses. Stay here for the latest tea!